Renting is an affordable housing option for many. Whether you’re just starting out or saving for a home, there’s no shortage of both homes and apartments to rent. 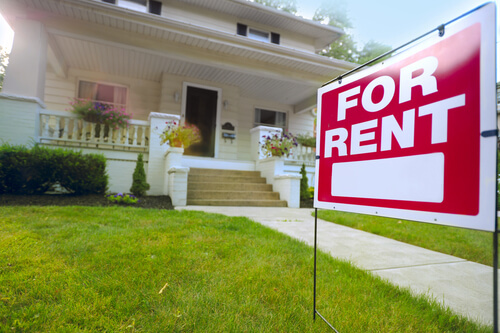 As a renter, you do have some options that are available to you that you might not know about. Therefore, in addition to securing the best Ann Arbor Renters Insurance available, take the following into consideration before signing the lease. Many people won’t advertise this, but it’s true. If the unit has been vacant for a while with no movement, the leasing company or the owner will most likely be more willing to negotiate the price. However, if vacant places are being turned around quickly, you’ll have less of a chance to work a deal. So, do your research and see if there’s any room to wiggle the price down a bit. Many places charge a pet deposit or a monthly pet rent. However, don’t pay both- it should be one or the other. If they insist on both, it may be worth it to look elsewhere or to have him consider a more cost-efficient option. Typically, deposits are an entire month’s rent. This is meant to protect the landlord in the event the tenant doesn’t pay or if there’s excessive damages upon moving out. While many people don’t see the majority of this money, there are ways to get it back. Take before and after pictures upon moving in and moving out to show existing damage. Next, do a walk-through with the landlord or the leasing agents and have a friend in tow in case there is a dispute anywhere. “You can pull your credit report yourself — independent landlords and some management companies will accept that. Also, if one half of a couple has the credit to afford the apartment, then only one person should apply (because) two applications cost more,” says Matthew Heisler, a landlord and real estate agent at Heisler & Mattson Properties. This will save a ton of money for people with less than stellar credit scores or for those in a competitive market who have to apply to numerous places. At Thayer-Innes Insurance Agency and Freeman Bunting Insurance Agency, we strive to protect renters like you with comprehensive packages. We pride ourselves on serving Washtenaw County with affordable and customizable policies. For more information about our products, contact us today at (855) 395-6316.